Every few weeks of 2013 The Future Heart has published a new chapter of Andrew Pawley’s cosmic comic series Captain Yeah and the Children of Moon. After eight months, the first book has now come to its riveting conclusion. Captain Yeah! and Unit 3021 are ready to lay down cosmic righteousness on to that dark despair. How will it all play out? Will we see evil end? 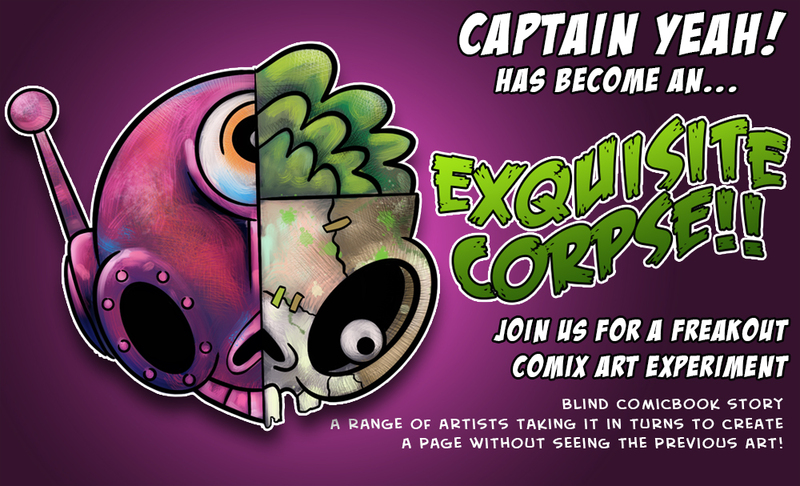 The series continues in two new projects: a collaborative experiment and a second book of Captain Yeah! solving problems and closing holes in existence. Much like book one followed his voyages through fictional universes inspired by Flaming Lips lyrics, book two finds our hero lost in music in far away, far-out galaxies. . .
“The universe is sad and strange things are happening to the music of some of the worlds freakiest artists,” Andrew explains. “Captain Yeah! dives in to save the day each time but the over all cause is a mystery! Who can help him in this quest?” Andrew discussed his creative process in this post, which also includes some of his past work. The second new Captain Yeah project is an Exquisite Corpse experiment. Each artist will only see the last third of the previous page and will continue the narrative ‘blind’. From their they mold the story line in any way they imagine (following general principles of space and love!) in as many or as few pages as they want. The basic premise of this experiment is that each artist should change the appearance of Captain Yeah! 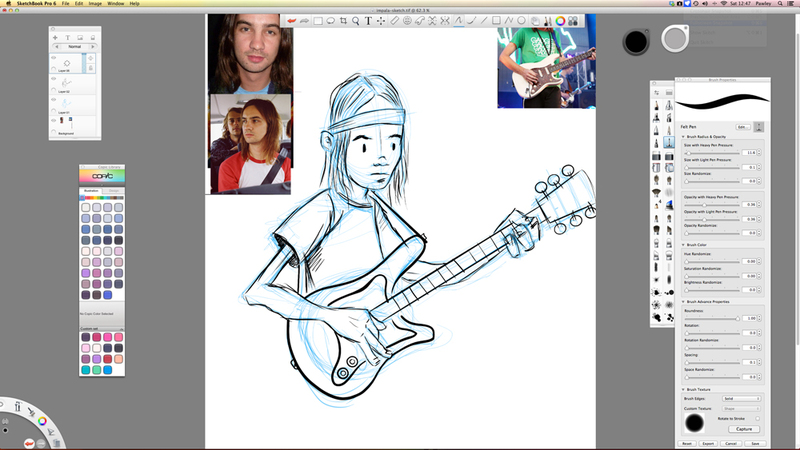 in some small way – add arms, change his head, alter the color scheme, etc – so by the end he is completely different. Look for more details coming soon on andrewpawley.com.